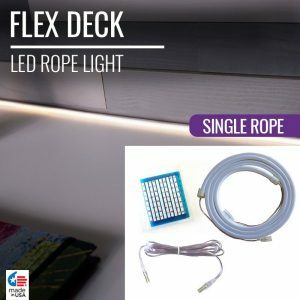 Our Flex Deck LED Rope Light is the simple, versatile solution to all of your complex lighting needs. 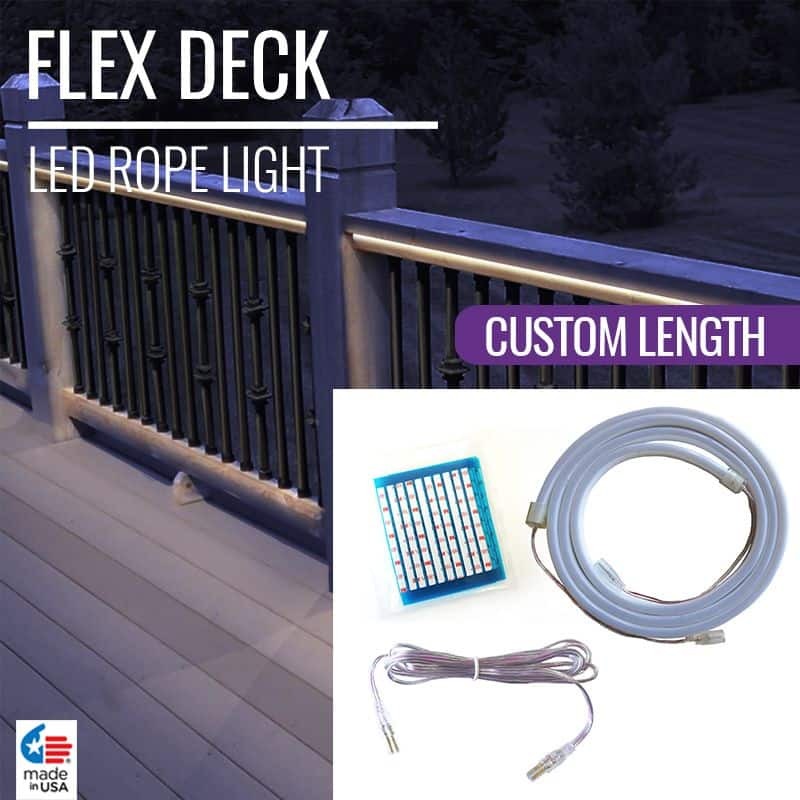 The Flex Deck LED Rope Light can be cut to your desired length, making it a perfect fit for custom home projects. 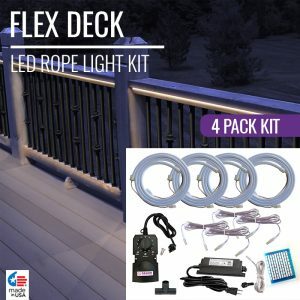 Use our transformer capacity guide below to find the correct transformer needed for your Flex Deck LED Rope Lights setup to avoid overloading the power source. 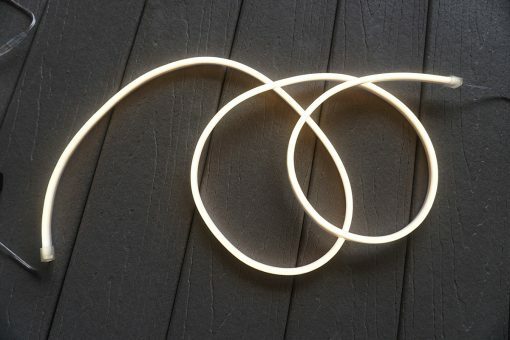 For custom length selection, choose your ideal rope length to the nearest foot. If you want to specify additional inches to the length, check the “specify inches” box and choose your precise inches length. 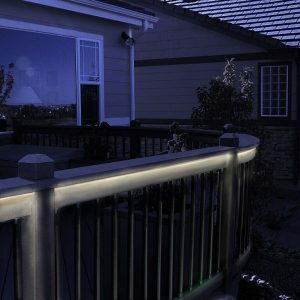 (For example, if you want a rope that’s 5 feet 9 inches, choose 5 on the first slider, and 9 on the second.) Each custom rope is charged by the foot, but cut to the inch. 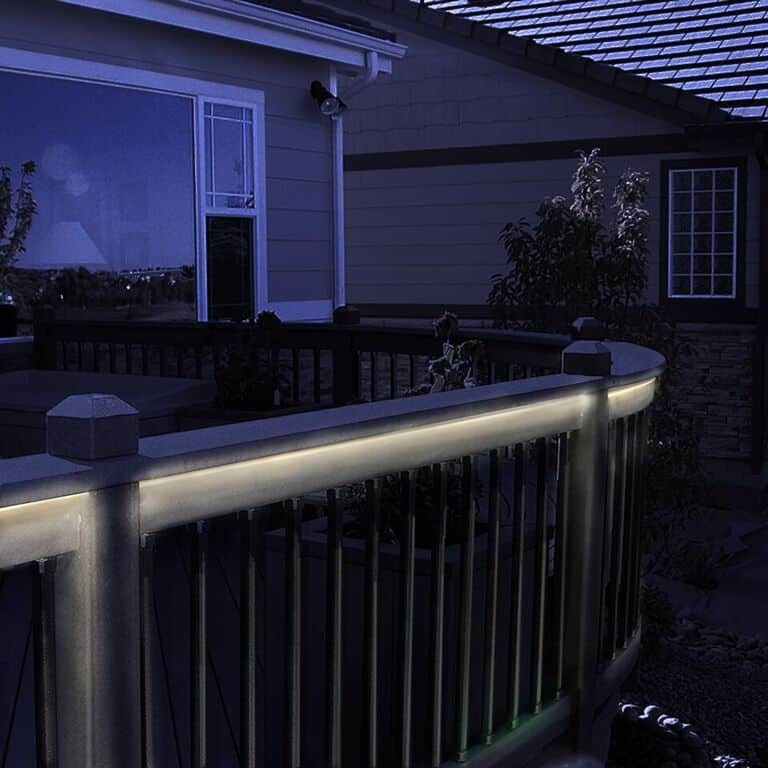 Length options range from 1 – 10 feet, or 12 -120 inches. 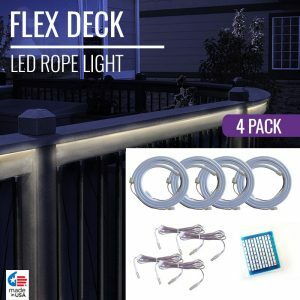 Since Flex Deck LED Rope Lights emit such a seamless and vivid shine, a larger energy output is produced. 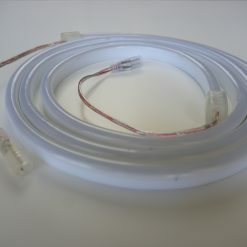 With a high energy output, it is vital to ensure your transformers are up to the task of supporting such a product. Use our transformer capacity guide below to find the correct transformer needed for your complete Flex Deck LED Rope Light setup. 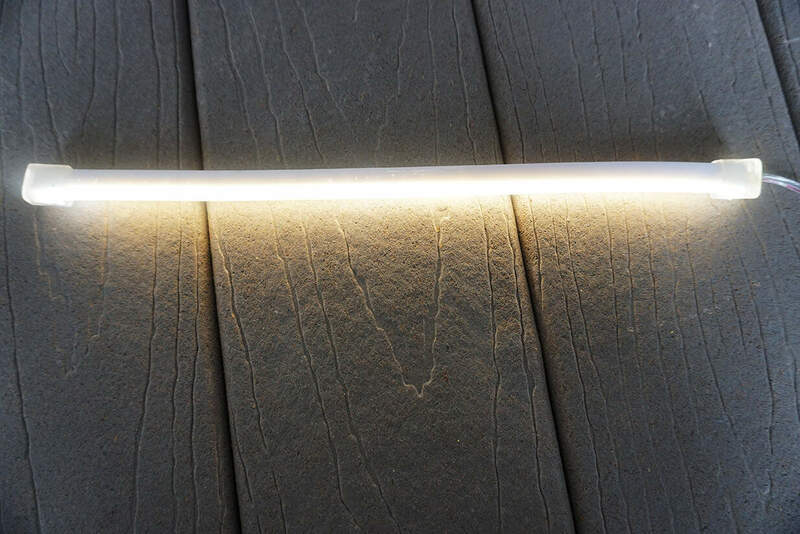 Simply combine the total length (in feet) of all of the LED Ropes you’re planning to connect and find the DEKOR® transformer that will bring it to life.